* Total number of reviews and star-ratings are based on data collected during the time period Benchmark Air Conditioning has been using the ReviewBuzz system and may not directly match the data found on each public review site. Benchmark installed a whole house fan for us. They were very polite and professional. The work is very clean and they worked around our schedule. I would highly recommend them to anyone. I’m new to the area and new to air conditioning in general. Gabriel did an awesome job taking care of the system. He explained things to me and answered questions I had. He was super friendly and knowledgeable. At the end of the appointment we even had something come up with my smart thermostat. He didn’t leave until we got it figured out and everything was working. I highly recommend these guys! Gabriel was very thorough and polite. He explained what he was doing and his findings. He did not try to add components I did not need. This is much appreciated, as we have a single income family. I highly recommend Benchmark for your a/c service company. 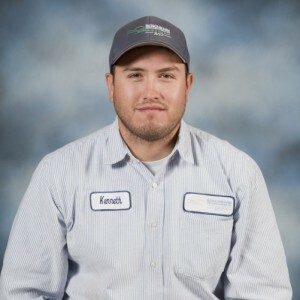 Fixed my AC when no one else could great service, texted a picture of technician before he arrives. Excellent customer service both in person and on the phone! During a scheduled air conditioning service to prepare for summer our technician discovered a hazardous breaker that had overheated in the past and was able to rectify the situation, routine maintenance is always better than a problem later in the middle of summer. New HVAC units were installed before we purchased the house and part of the house were not getting warm. Benchmark came out and upon investigation found our ductwork to be sized incorrectly for the units to operate efficiently. Darrell C. then came out and removed/ replaced all of the ductwork and now the whole house warms up quickly. Can't wit to see how the AC works this summer. We also asked Darrell to check out the exhaust fan in the 2nd bathroom as it would remain steamy after each shower. He installed a new exhaust fan and now the mirror does not even get foggy. Darrell and his partner were very courteous and took time to explain what they were going to do and when they would do it. Cleaned up after themselves as well. Greta work, great job and they finished earlier than expected. Highly recommend Benchmark! Always provide excellent service and explains what services were performed. Have used this company for a few years and highly recommend them. I've had some A\C and heating issues over the past years. They are my first call. They have always had a tech out that same day or within 24 hours. Techs are always clean and polite. Their dispatch has always scheduled someone to get out to us ASAP. Thanks. Benchmark came highly recommended by a colleague who has used this company for ac/heating repairs and needs for years. I couldn't agree more with this recommendation. Our entire experience with Mike and his team at Benchmark was great. Mike quickly assessed our broken ac/heating unit, gave us a very reasonable price to replace the unit (which was very old), and arranged to have his technicians install the unit on the Saturday of the same week we first contacted him since we have students present on weekdays and therefore couldn't have the installation happen during the week. The technicians showed up exactly when they were scheduled and did an excellent job installing the new unit. Mike and his team are highly skilled and knowledgeable, honest, professional and responsive to client needs. We will happily use this company for our future ac/heating needs. Excellent service ,,on time,, and explained the process so we could understand what was needed!!! Ken did a very professional job. Answered all questions clearly, and was courteous, neat, and timely. If you are looking for quality work, affordable prices then you have found the right group! Technician arrived on time,went to work,advised me of repair needed, provided part and repaired. Can't ask for better service than that. Today I had BENCHMARK air conditioning diagnose my 89 yr old mother’s a/c that stopped working on Saturday. Initially we were not sure who to call locally & I discovered this company online after doing some research. Certainly one thing that stood out beyond all others was their customer reviews, therefore, after reading these I decided to call & make an appointment. 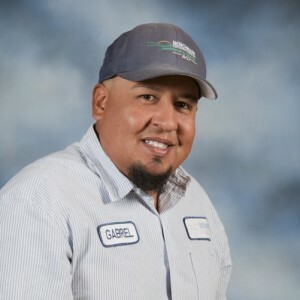 We both ... were not disappointed… our a/c service tech, Gabriel, was beyond kind & professional. He capably assessed/diagnosed the problem and with our consent replaced the broken part. Her a/c was completely functioning immediately afterwards. Being that she was pleased with this service she even decided to accept the annual a/c tune-up plan that they offer. Thus making sure that her unit is well maintained and checked 2x per year. So if you are looking for reputable services to your air or heating systems today or in the future ... please give Benchmark a call. We both believe that you won’t be disappointed. Thank you. 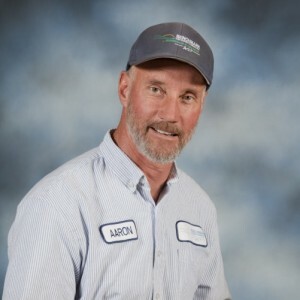 Our a/c and gas bills have been reduced since the installation of a new unit in 2016 and the follow up servicing by Aaron G. He is technically proficient, informative, gives a closing detail explanation and is most courteous. Suzanne in Accounting has been most helpful through our many years of doing business with this company. We would and do recommend Benchmark to everyone. 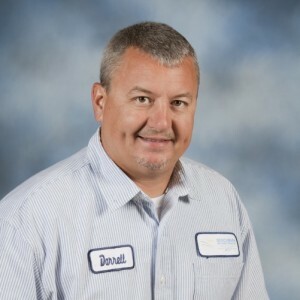 Customer service is always a top priority at Benchmark Air Conditioning. Our BBB Membership A+ rating is like a badge of honor as we continuously strive to provide the best experience for our clients.